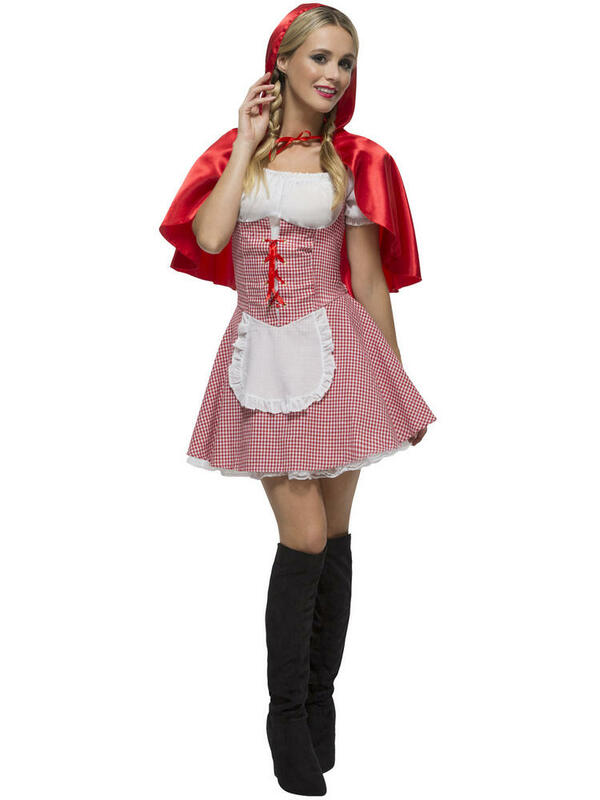 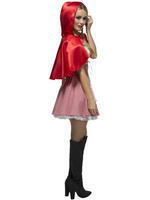 This Ladies Fever Red Riding Hood Costume is perfect if you are dressing up for a Fairytale themed party. 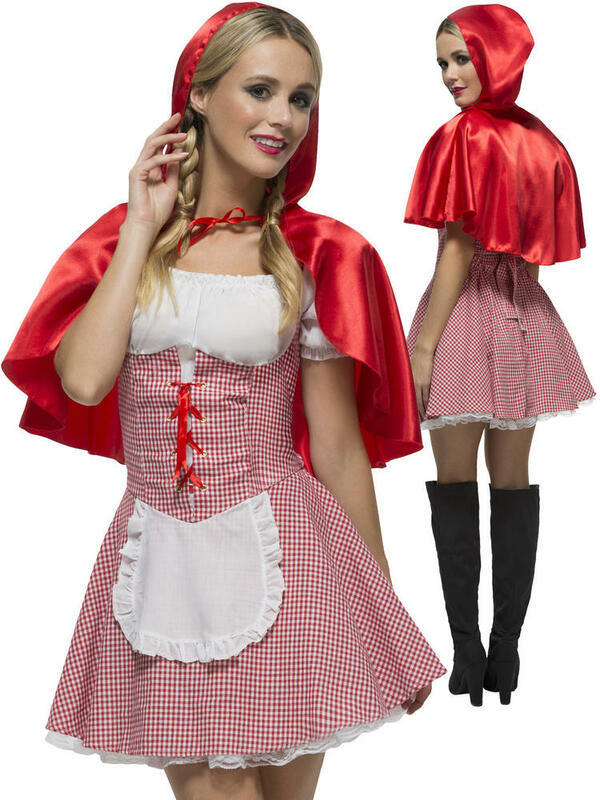 Included a red and white gingham dress with an attached white apron and red lacing up the chest. 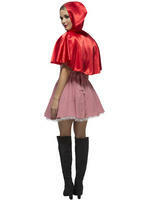 To complete the outfit is a satin style red cape.